I have been in love with photography since I was a kid with a basement darkroom. During my challenging years as a country doctor, it provided a place of refuge, a respite from stress and a way to relax. The process of producing the image fascinated me as much as the act of taking the picture. 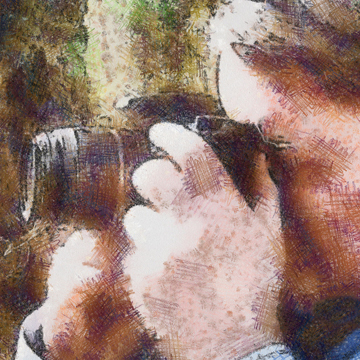 When digital image processing exploded onto the scene, I was as ready, My images now have almost all been digitally altered, some a little, some a lot. Many have passed through multiple filters to arrive at the state where you see them here. It often feels not so much that I am working on the images as that they are working on me, leading me on a journey of discovery. I don’t always know where we are going until we arrive. I am retired now, but I remain as fascinated as ever with the process of creation. My experience with medicine and science (I come from a family of scientists) leads me to wonder about the process of knowing and of and the properties of understanding as well. In my blog you will find me wandering in both domains, often more than a little bit lost. I am convinced that art and science are two sides of the same coin, but like the coin it is impossible to see both sides at once. Look at the image to the left. 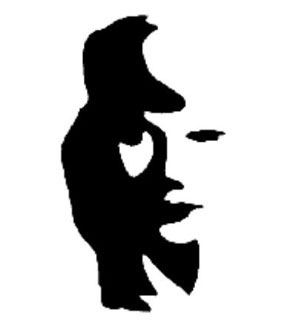 It can be seen as the face of a beautiful woman, or as a cartoon of a man with a big nose playing the saxophone. It is very difficult, however to see it as both things simultaneously. (Cycling rapidly from one image to the other doesn’t count.) The man with the horn is science, the woman is art–they are one and the same, yet completely separate. Come and join me on my journey. I look forward to hearing what you have to say.